This album is a definite masterpiece, and certainly (thus far) the peak of Queensryche`s career artistically. 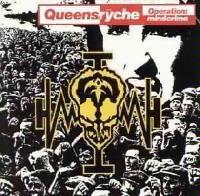 Although definitely a heavy metal album, in many ways Operation Mindcrime is so much more than that. This is really a rock opera telling a story of murder, conspiracy, corruption, and betrayal. This story is definitely a tragedy. Using lots of Pink Floydish spoken word/sound bits, this record tells a very large, but still human, story. This work fairly seamlessly combines heavy metal and progressive rock, in many places having definite elements of both at the same time. Operation Mindcrime is certainly best taken as an entire work, the whole certainly being more than the sum of the parts. This is a spoken word piece which sets the mood for the tale to unfold, and actually reveals several of the story elements. This very dramatic piece is an instrumental introduction to the next song. It is definitely heavy metal, but with some serious progressive rock leanings. The break which leads into Revolution Calling is very interesting. This one also is definitely a heavy metal song, musically not overly interesting, but well done none-the-less. The lyrics and vocals are the stand out portions of this song, including some rather unique backing vocals. This piece has nice bass-driven feel to it, and is actually a rather quirky piece of music. Even though it is certainly heavy metal, it is FAR from generic. The most remarkable elements to this song are again the vocals and lyrics, but some of the arrangement is quite unique. I really like the drum sound on this one. 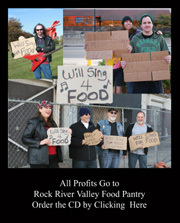 Lyrically this song contains some very interesting ways to relate very gritty subject matter. Containing some excellent dark imagery, this one also has a very nice percussion/vocal break. In many ways, Suite Sister Mary is the centerpiece to this work. It is positioned near the center of the album, is by far the longest song on the album (clocking in at nearly 11 minutes), and really represents a turning point in the storyline. In fact, during the spoken word/effects intro to this song, you can almost hear the main character`s life falling into a spiral. The song then breaks into some very dramatic, melancholy music, complete with some dark Gregorian chant type vocals (ala The Omen). This song is a sad ballad/soundscape that is incredibly well arranged and produced. Essentially a progressive rock piece with distinct heavy metal leanings, it eventually turns the corner toward the more metallic end of the spectrum. This is really an incredibly theatrical piece of music, and even when it crosses into the more metal based stylings, the arrangement is still SO much more than what one generally expects from heavy metal. There really is a continuous alternation between what is the prominent feel of this piece, progressive or metal. This certainly is the best piece on this album. Although this one is one of the more blatantly heavy metal tracks on the disc, it is very emotionally strong, and contains a clever musical twist or two. A nice mood piece, Electric Requiem is a short and haunting song. Containing some interesting arrangements, this piece is another which is more of a blatant metal tune in many places. It is another very emotional piece. This one contains some more wonderful lyrical imagery, and a great bass sound. There is a very interesting transition between I Don`t Believe in Love and Waiting For 22. This short instrumental is a very moody track----not quite progressive, not quite metal. A very powerful and haunting song, My Empty Room contains more interesting lyrical imagery. The transition into the final song of the album is certainly a musical quote from Pink Floyd`s The Wall, as the main character in this story is in much the same situation as Old Pink was in that tale. Another song which is basically a heavy metal tune, this one also contains some strong emotional content. Although it makes for a dramatic and satisfying ending, what it does not provide is a happy ending.